This book is a short collection of prose/poetry which is divided into three sections: Divine Presence, Divine Essence and Divine Love. It will uplift anyone who wishes to enrich or advance their spirit in this life. This book expands on our awareness of mind, body and soul and helps the reader to recognize the divinity within themselves. 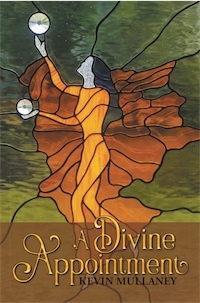 This book is about recognizing the Divinity in each person that crosses our path, as well as our seeking our own Divinity. It is about seeing beyond perception and sharing a wondrous journey with all creation and its creator. These writings meld poetry with prose, and bridges the gap between spirituality and mysticism, faith and conviction. The beautiful glass-art creations, by the author, are based on a system of sacred geometric patterns which, like the mandala, can repeat itself into infinity. They interject well with the thoughtful narrative that expands on the finite and the infinite. In keeping with the nature of man's relationship with the spirit and our gratitude for existence this book follows up a previous work from 2014 titled, Earth & Sky, Heart & Soul. Kevin’s words remind me that heaven is both within and without, and is a stream that runs through every living thing. These are words which breathe life and encouragement, awareness and compassion, hope and wonder, as we reflect on the wonder of ourselves and the Divine, whose love is alive in us. The words that come to you must be those from memory, for they contain such timeless wisdom. I am looking forward to your latest book release knowing it will be enlightening and inspiring! Your writings, are an intense spiritual experience. Thank you...for opening my eyes and heart to remembering our infinite spiritual nature. The entire book touched me to the very depth of my soul and made me ponder. The authors various commentaries were enriching and thought provoking . It is a very inspirational read and one that will cause you to reflect on the past, live in the present and anticipate the future. Kevin’s words seeped into my heart and settled in my soul. And as he says “all is well in the heart that’s well”. My heart is well after reading A Divine Appointment. 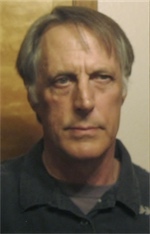 Kevin Mullaney, a retired public service professional lives in Flagstaff, Az. A place he has called home for the past 42 years. In addition to writing, he enjoys outdoor activities which include gardening, hiking, camping and volunteering with youth sports.